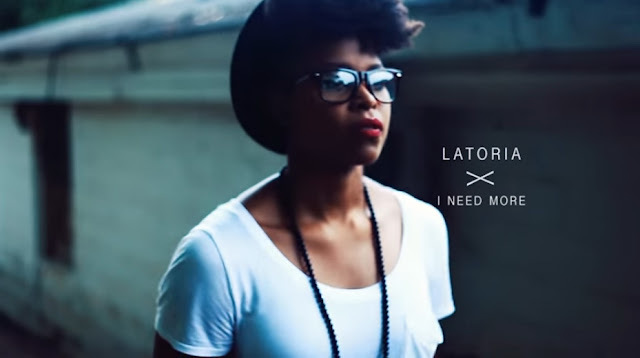 LaToria drops a music video for her latest single, "I Need More (Soul Cry)", produced by Giangelo Power. The video was shot and directed by Eshon Burgundy. LaToria shares that, " 'I Need More' was a song that came as a surprise to even me. The producer contacted me when I was at a point where I thought the album was complete and I wasn’t going to add anything else to it. However the Holy Spirit led me to not only listen to the producer’s tracks but hear the concept for this song. I couldn’t shake it. It was clear that I was supposed to write to this song and include it at the end of the album. It is the perfect ending but also the perfect segue to The Long Walk Vol 2. The song is my interpretation of what the soul goes through. Firstly addressing someone who may not have put their trust in Christ and secondly to those of us who have. Regardless of what side of the fence you land on, we all have one thing in common, we need more of God. Our hearts have an eternal size hole in them that only He can fill. This song is meant to point us all to Christ. To look to him to get that fulfillment."